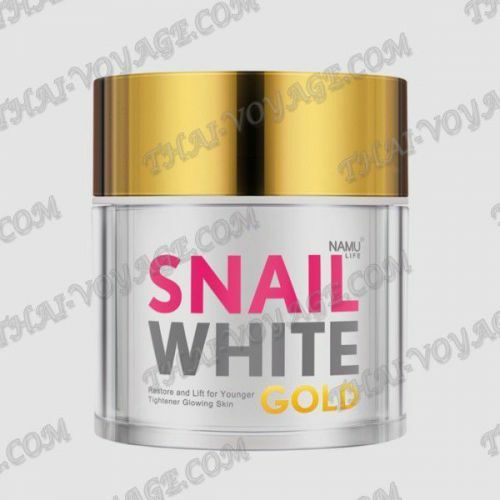 Gold snail face cream Snail White Gold Namu Life makes the skin young, healthy and radiant. Contains extract of snail slime Helix, as well as extracts of red algae. All these ingredients help to reduce fine lines, revitalize and restore skin, hydrate from the inside.